Too bad we don’t live in Lake Wobegon, of Prairie Home Companion fame… where “all the children are above average.” In the business world, above average growth—on a consistent, year-after-year, everyone-knows-you’re-really-going-to-do-it basis—would be amazing. 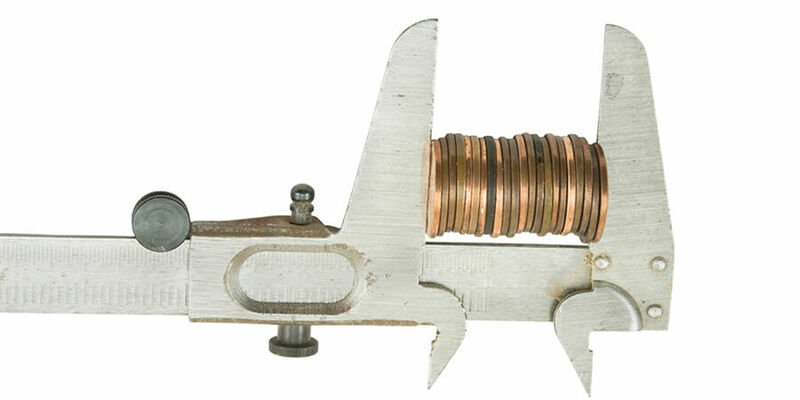 Think of it this way: If your stock’s P/E ratio is 20, then investors value your earnings this year at 1/20th or 5% of your firm’s total value. The other 95%? This is what investors think your company will do in the future. The “future” part is why companies like Uber, Tesla and Amazon are so highly valued: Investors have great confidence in their future growth. Oddly enough, most C-suites are focused intently on the 5% “now” part (hitting their numbers this quarter), instead of the 95% “future” part. Do they think investors aren’t smart enough to look past the short term? Hmmm… somebody’s buying Tesla stock. Or have they convinced themselves that what they’ve always been doing will somehow start leading to above-average growth? I’m not saying this conversation would ever happen at your company… but if it did, what’s the problem? 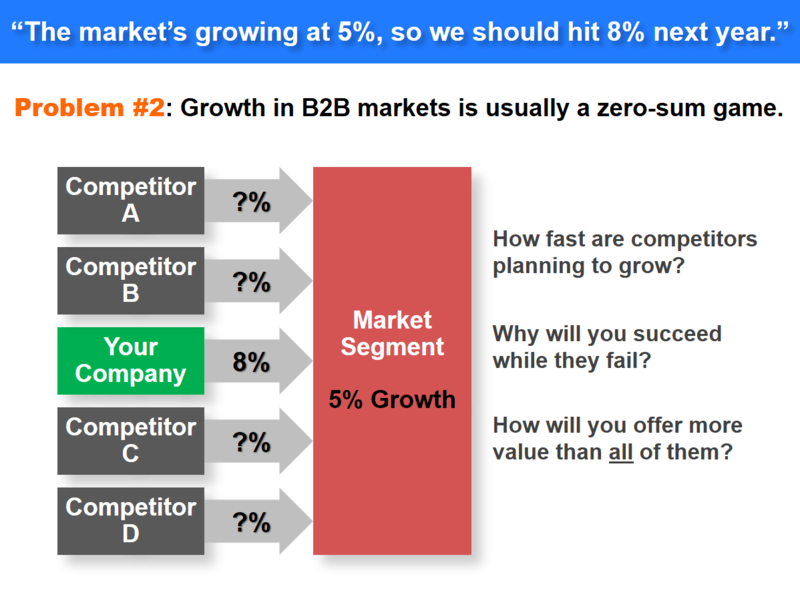 Your current 5% growth isn’t what you think it is. There are three components, and you only control one of them. The first is “inherited growth.” Years ago, some employees created high-value products and technology platforms. These are the gifts that keep giving… until they don’t. Every outside force—competitors, purchasing agents, new technologies—is working against you to commoditize these products. The second component is “market growth”… the rising tide that lifts all boats. 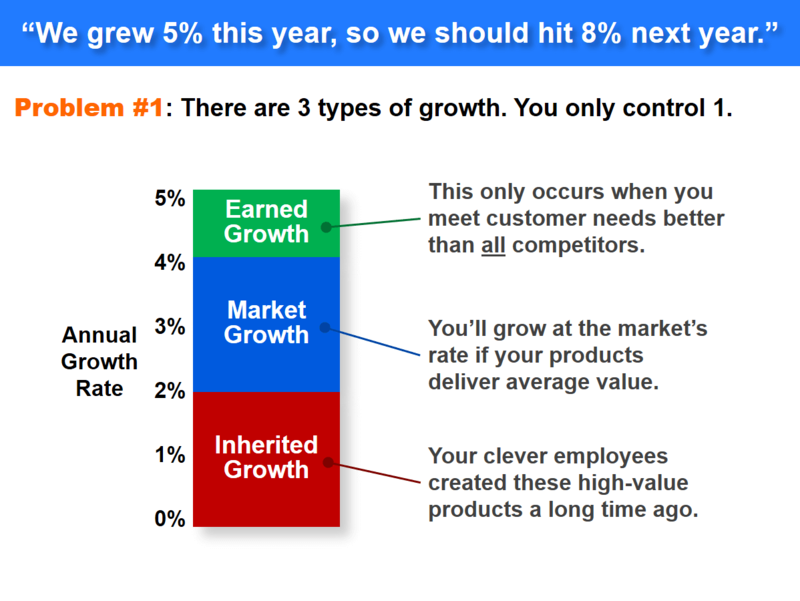 This is what you get if your products deliver average growth. Don’t take this for granted. If a competitor creates a blockbuster, the tide will rush out and you’ll have negative growth. The third component—the only one you control—is “earned growth.” This occurs when you meet customer needs better than all competitors. If your business grew 5% this year, don’t lull yourself into believing your team did this. You might be coasting along with just inherited and market growth. Because earned growth isn’t identified by accounting systems, many managers don’t intensely focus on it and are doomed to… mediocre growth. Seriously, how will you grow faster? Do you have smarter R&D? A harder-working sales force? A more convincing marketing department? Do you have some other unassailable competitive advantage that will get you into the Lake Wobegon “above average” group? Because if you don’t, it’s time to be honest with yourself: Learn to live with mediocre growth. So above-average growth is hard. And yet it can be much easier. To see how, let’s begin with this premise: Your best path to sustainable, above-average growth is 1) understanding and 2) meeting customer needs better than competitors. It’s hard to assemble an R&D staff that is 20% smarter than competitors… especially in large firms. Even if you’ve got R&D geniuses, they need to understand what customers want. Otherwise they’ll develop great cures for no known diseases. There’s huge potential for competitive advantage, though, in understanding customers’ needs. We’ve recently updated our research, and have now studied 50 new-product project teams from 20 companies (nearly 80% Fortune 500). All of these teams used New Product Blueprinting customer interview methods, designed for maximum B2B customer insight. At your company right now, it’s likely only 1 out of 6 teams understands customer needs. Not to put too fine a point on this… but at your company right now, it’s likely only 1 out of 6 teams understands customer needs. Can you think of anything that would help you meet customer needs—and deliver above-average growth—better than knowing what those customer needs actually were? Who can argue with focusing on results? And yet, in his 1989 classic, The 7 Habits of Highly Effective People, Stephen Covey taught us we need P/PC balance. P is “production,” or getting results. PC is “production capability”… developing and maintaining the capability to get those results. I don’t know how you would answer this for your company. But if you believe part of the answer is understanding customer needs in a manner that is far above average… we should talk. To start a conversation, just leave us a note at Contact AIM.